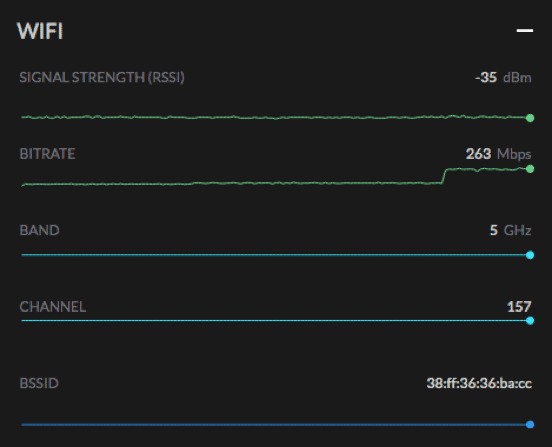 After the demo and session with Cape Networks’ David Wilson presented at #WLPC about seeing your Wi-Fi from the end user’s experience, I thought it would be nice to try it out myself. Cape had graciously and professionally provided a small Micro-SD card that allowed all #WLPC attendees to use their Maker Session ODROID computers as a sensor to try out the Cape service. I’ve been on the road ever since the conference in Phoenix and didn’t have a chance to get my personal ODROID configured and on the Cape system. But luckily for me, they sent me a couple of their sensors to try out. After a simple install – basically it was plugging in a sensor to a wired connection and waiting a bit. The sensor phoned-home and was quickly up and running watching our network. The interface is simple, clean, and professional. 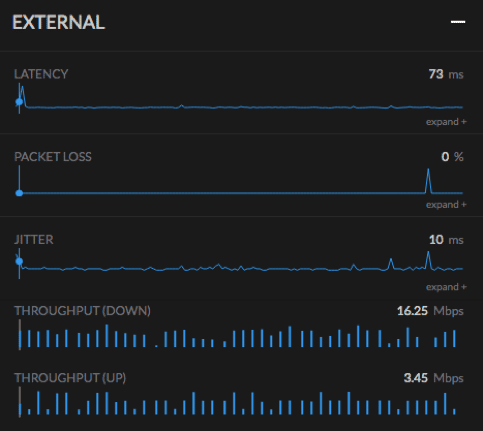 You can configure both External and Internal services to be tested along with basic network connectivity like DHCP and DNS. For the wireless side, you just needed to give it the SSID you want to test. We chose to test our http://WLANPros.com website as an additional external test. You can configure what tests you want the sensors to complete and how often, as well as at what thresholds you want to be notified. This current version only allows for email notifications, but it looks like they’ll be adding something like SMS or other options in the future. 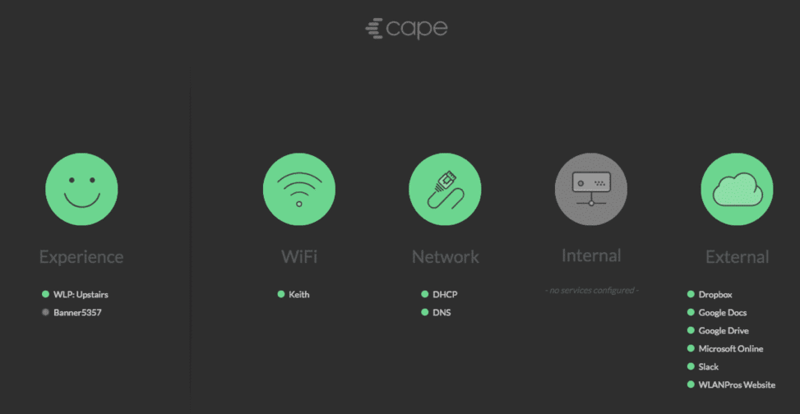 This has only been a quick test, but from what I’ve seen so far, Cape Networks sensors are easy to deploy, and their customer service is top notch and very quick to respond. 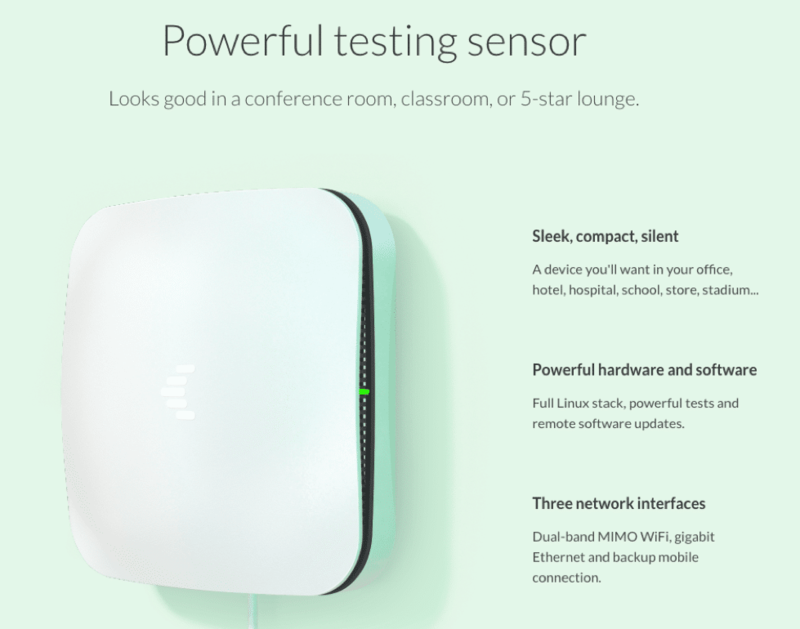 It is good to see another player in the WLAN market showing a proactive way to keep tabs on your customer’s Wi-Fi and notify you of any issues prior to getting complaints directly. I look forward to seeing more of Cape in the future. 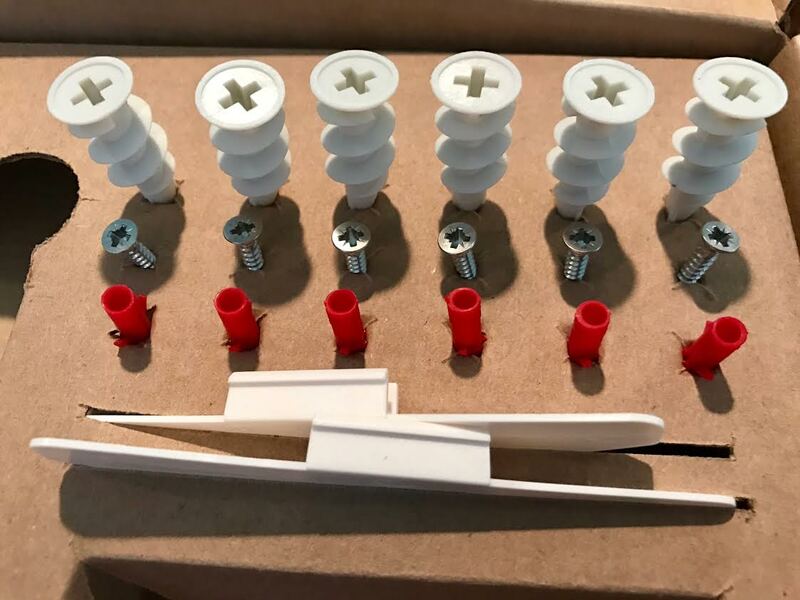 As an afterthought – here is a picture of their sensors – smaller than most Access Points and come with a complete range of mounting options, including all the bits and pieces most other vendors forget.